We all love to hear our loved songs, it makes us feel alive and awesome. As the time passes the music fans have changed so do the most popular method for listening music has changed also. Today is the age of android smartphones, now everybody has Android devices and most of them are smartphones. So, it’s not hard to guess that most of the people today use their smartphones as the primary media player. But because of the Android developer community is so huge that there are tons of media playing application that you can find online. Just head over the Google play store and under category choose Music and Audio. There will be a huge number of items to download and use on your device. 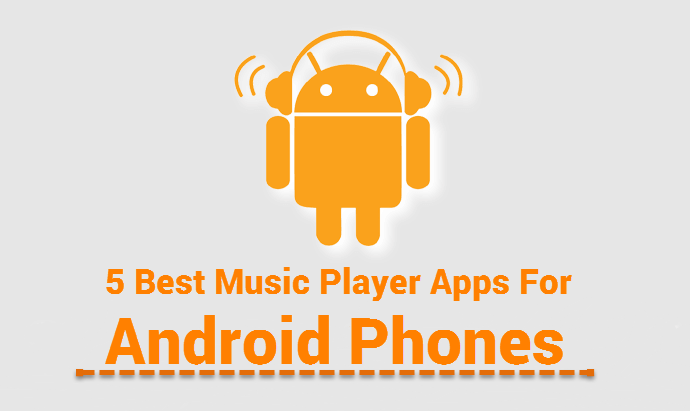 So here is a short list of top 5 best Music Player Apps for Android Phones. Check Out the List now. Showbox for Android. 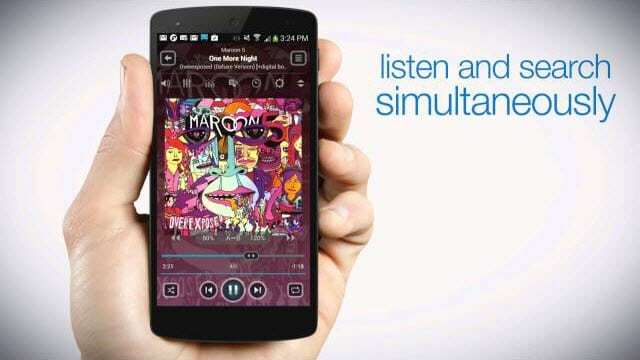 The Name Poweramp is enough, Poweramp is a great music player for android device. This media player has got some of the coolest and richest features. Poweramp can download lyrics and album art when listening music on the app. It supports pretty much every media format, which includes mp3, m4a, Ogg, WMA, wav, tta, aiff and all others. The Poweramp music player is loaded with the 10 bands optimized graphical equalizer. The power amp music player is available as both free and premium version. You can get all the premium features for 15 days! This is a free media player with some awesome features. Some of the features that this media player has are – 10 bands graphic equalizer with various sound effects, it supports many media formats like (.mp3, .ogg, .wav, .w4a, .mod and many others).you will get a wide range of audio listening experience as it has 32 equalized presets. This is a free media player but if you wish then you can purchase the plus version on Google play. Playerpro is great when using listening music on Android. This media player has also some same features like Poweramp – for instance, this media player can download album arts and lyrics of songs when hearing the music. Also, you can many skins. So, that you can customize your music experience. You can directly edit music tags from this media player. Playerpro is rated amazingly 4.6 on Google play. Try it now so check the awesome features of this app. N7player is a great media player, I would say that this is a unique music player. 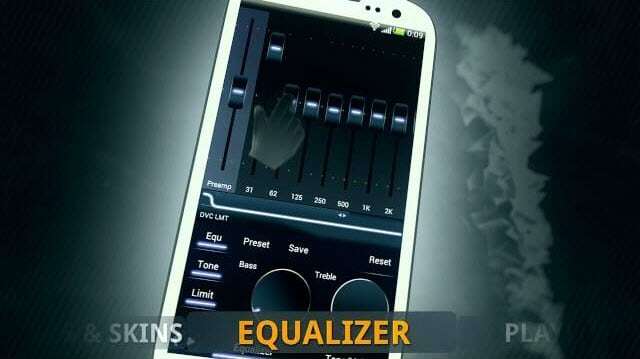 The features of this app are – 3D sound effect, playlist manager, separate base, and treble. Like the Poweramp music player this media player also has 10 bands optimized graphical equalizer. N7player also supports Skin changing feature (you can change the theme design), it supports custom skin creation. As you can change the skin it is more personalized. This app is rated 4.5 stars in Google play so try it now. Google play music is the official music player app that most of the handset manufacturers give as preloaded app with most of the devices (latest device). So it’s obvious that many of you have already used and you may have seen that the features of this music player are pretty good. So this app is listed on the 5th position of this list. But many old Android devices do not have this app pre installed. In case you have any old android device they just go to Google Play and Download this. As android smartphones are easy to carry everywhere (when we compare it to Desktop computers) so everybody hears music on their Android smartphones. So this list will help you guys. All apps mentioned above are completely compatible with all versions of android like (KitKat, lollipop, Ice Cream Sandwich). Comment below if you have any other better app which I can include in this list.